It’s time for the annual GaitWay Giving Campaign when we ask our friends to help us bring equine therapy to more children and adults in our community by donating to GaitWay. 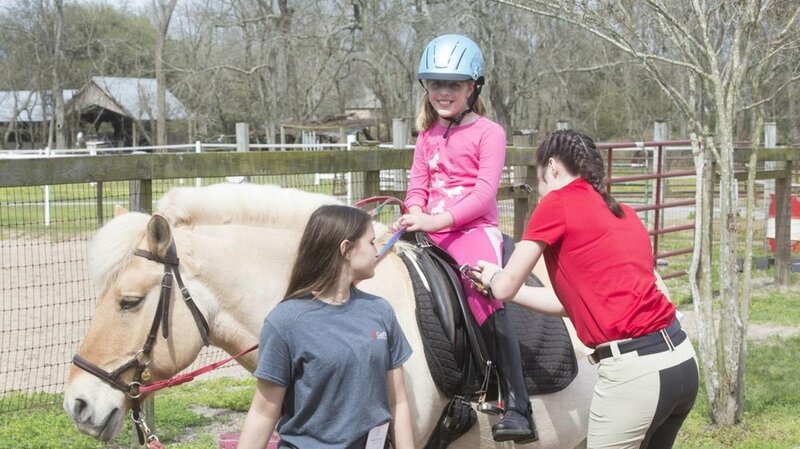 Founded in 2005, GaitWay provides Baton Rouge area children, youth and adults an opportunity to develop and discover enhanced strength, function, independence, and quality of life through equine assisted therapies. More than 27,000 local children and adults could benefit from this proven therapeutic technique, but less than 1 percent of those in need currently have access to horse-facilitated therapy. In 2019 we will add more therapy services for children and a special program for military veterans with physical and emotional challenges. Will you help us bring equine therapy to more children and adults in our community? The GaitWay Giving Campaign honors the riders and families of GaitWay Therapeutic Horsemanship. We realize the potential of every individual who walks through the front gate looking for a way to improve their life. 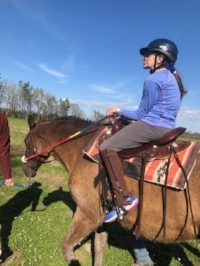 GaitWay's PATH certified instructors provide the gold standard in equine therapy, allowing our riders to thrive in a professional, caring environment. Our unique approach to traditional therapy is facilitated by the relationships our riders have with their horse. the bond between an individual and their horse provides a significant emotional connection, allowing individuals to push themselves beyond their boundaries. We believe everyone has the right to affordable human services. We offer equine therapy services to families despite their ability to pay, by granting scholarships to their loved ones who live with a disability. Our Giving Campaign supports the realization that all individuals living with a disability have an opportunity for a brighter future. From the age of three Madeline has loved horseback riding. Since she began riding at Gaitway, we have noticed her physical independence has dramatically improved. She is now able to walk with the assistance of a walker, something that she hasn’t been able to do since about the age of 13. We are so grateful to Gaitway for cultivating the skills that have increased Madeline’s confidence and focus through Horsemanship. The staff and volunteers have absolutely been the best to work with Madeline... She loves to talk about the horse she rides and immediately begins looking forward to her next lesson on the way home from her last. My son Christian has autism. We first realized he was fond of horses during an autism walk. He got the opportunity to use his fingers and hands to paint a real horse. He loved it! Later we decided it might be a good idea to get him on a horse and see how he responds to it. He was excited from the first day! He is always excited to go to GaitWay and absolutely loves his instructors and the volunteers. He has improved in his comprehension and execution of commands over the couple seasons he has been attending lessons. He loves GaitWay and can't wait to start a new season! John Thomas absolutely has improved so much through riding horses. The horses have shown him that all things are possible. He has learned that they need him and love him as much as he loves them. His muscle tone has steadily improved, and he has become more outgoing because he must let the horse know what to do. He is on his way to being an independent rider, which in his world, being independent at something is so liberating. GaitWay offers him the opportunity to fulfill all of this with more good things to come.